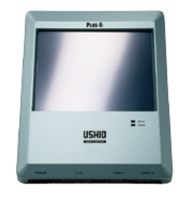 Excellent monitoring speed, high-precision molds recognized monitoring device PLUS-E, joined the PE-1000A low-cost options, small, lightweight, unique PLUS-E PE-1000A, to achieve the same performance and previous monitoring speed, precision, simple operation and settings. Reach to prevent damage to the mold, improve production efficiency, thereby contributing to reducing the total cost. Molded product residue monitoring on the mold. Moldings overflow or lack of material adverse surveillance. Ejector break and return monitoring. Slider owned positioning and release monitoring. Reduce the number of unnecessary ejection. Enables setting of 10-plus polygonal areas (8-angles max.) for monitoring or masked-view. Add “Show NG Position” after setting monitoring parameters to enable users to reconfirm and proceed. Newly-developed software for easy adjustment for suitable pixel. RoHS, CE and FCC Class-A approved; compatible with English, Japanese, Chinese, Korean, and may be expanded for others to be universally-polylingual. PLUS-E standard image previously acquired normal shaping and monitoring each acquired image, all the pixels are compared to determine the brightness Good / bad. Taking into account the production line set up the environment caused by chaotic light admissibility determination error range can be monitored more stable.